Travel in comfort and style to explore the Giant's Causeway with Belfast Bus Company. 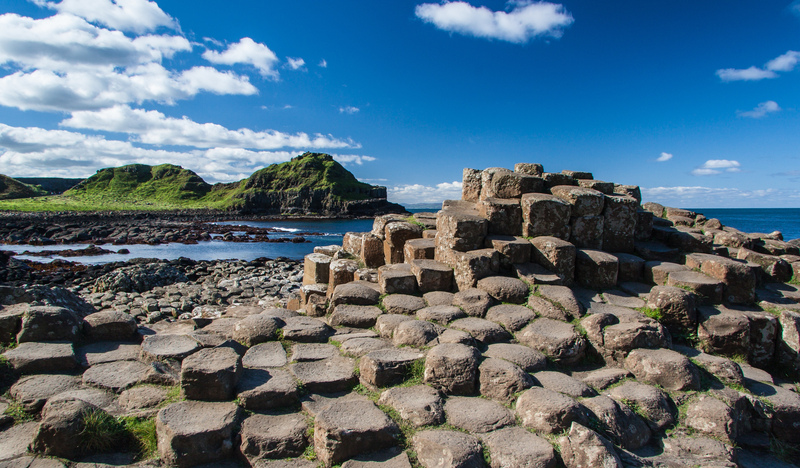 Renowned for its polygonal columns of layered basalt, it is the only UNESCO World Heritage Site in Northern Ireland and in 2015 was awarded the UK’s Best Heritage Attraction at the British Travel Awards. A short trip to Carrick-a-Rede boasts an exhilarating rope bridge experience. Traditionally fishermen erected the bridge to Carrick-a-Rede island over a 23m-deep and 20m-wide chasm to check their salmon nets. Today visitors are drawn here simply to take the rope bridge challenge! The rope bridge originally consisted of a single rope hand rail which has been replaced by a two hand railed bridge by the National Trust. Once you reach Carrick Island, the reward is seeing the diverse birdlife and an uninterrupted view across to Rathlin Island and Scotland. There is only one way off the island – back across the swinging bridge! Don’t look down!